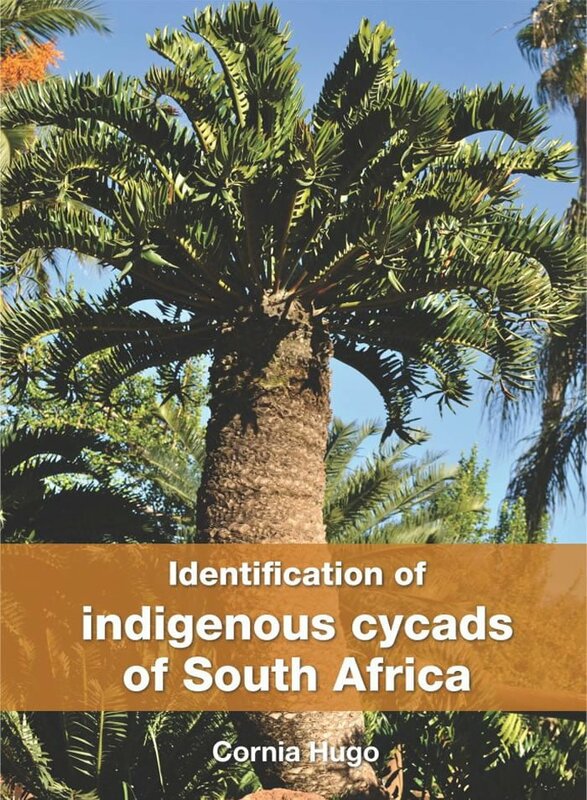 Cycad identification online book store by Cornia Hugo. Cornia Hugo is well known among cycad enthusiasts, especially in Gauteng, as a capable and strict law enforcement officer of nature conservation. 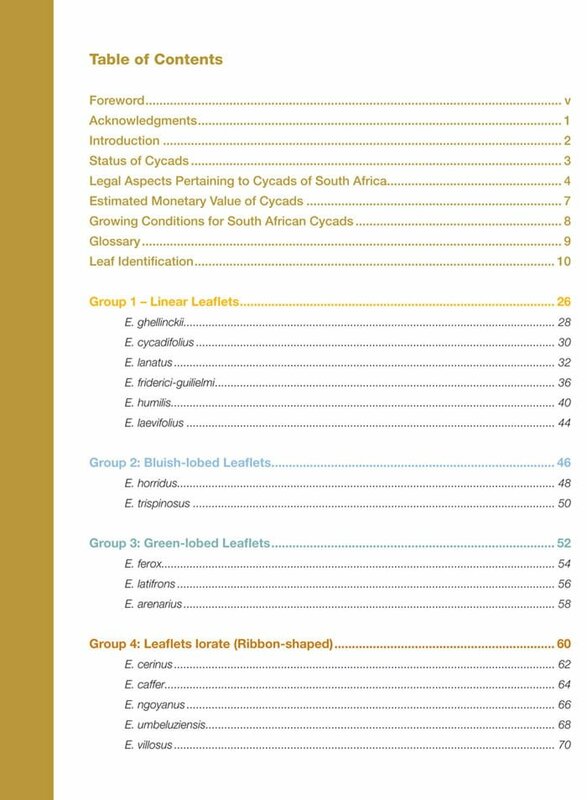 From her experience, over many years, she came to realise the dire need for a user-friendly, brief but effective publication that will enable interested persons to identify the South African cycads and she decided to do something about it – hence the present book. Writing such a book is no easy matter. For practical purposes, the identifications should be based almost exclusively on plant organs, such as leaves, which are readily available at all times. With the variations that occur within almost all the South African cycad species, this becomes an almost impossible task. To Cornia this presented itself as a daunting challenge. The key she finally produced is probably the best available at present. With the numerous carefully selected and clear colour photographs that augment the written key it is a very worthy addition to the library of the cycad enthusiasts. Nat Grobbelaar B.Sc. (Rhodes), M.Sc. (Pretoria), Ph.D. (Cornell, U.S.A.) Emeritus professor and former Head of the Botany Department of the University of Pretoria. Cornia Hugo is well known among cycad enthusiasts, especially in Gauteng, as a capable and strict law enforcement officer of nature conservation. From her experience, over many years, she came to realise the dire need for a user-friendly, brief but effective publication that will enable interested persons to identify the South African cycads and she decided to do something about it – hence the present book. Writing such a book is no easy matter. For practical purposes, the identifications should be based almost exclusively on plant organs, such as leaves, which are readily available at all times. With the variations that occur within almost all the South African cycad species, this becomes an almost impossible task. To Cornia this presented itself as a daunting challenge. The key she finally produced is probably the best available at present. With the numerous carefully selected and clear colour photographs that augment the written key it is a very worthy addition to the library of the cycad enthusiasts. Emeritus professor and former Head of the Botany Department of the University of Pretoria. 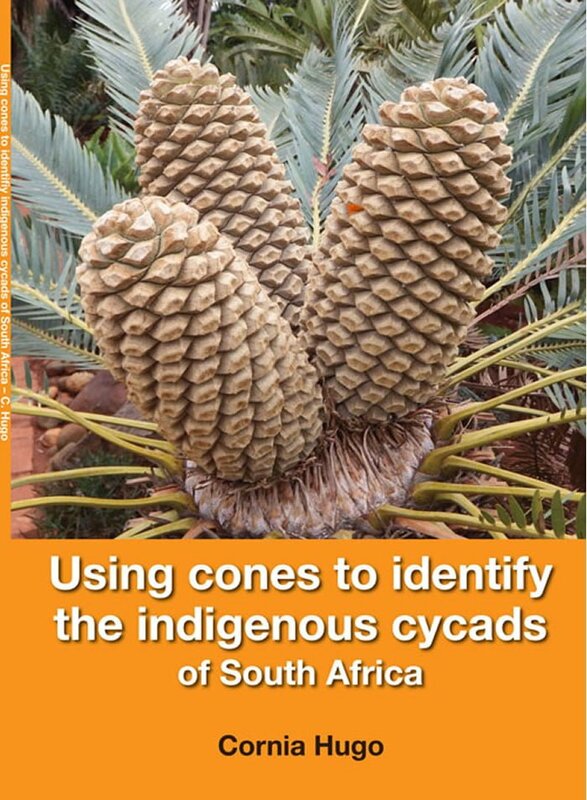 I realised when using my first book “Identification of indigenous cycads of South Africa,“ that it was still proving to be problematic to correctly identify cycads as a result of natural and unnatural cross-pollination. Plants growing in unnatural conditions would also, on occasion, present different typical characteristics, which made accurate identification difficult. If a cycad is not planted in its natural growing habitat the appearance of the leaf will present different characteristics as the norm. Even when using the key, the identification of seedlings still proved to be problematic in some of the species. Climate will have an influence on the pollination of female cones, and on the pollen shedding of male cones. I believe that using the cones, when present, will overcome these difficulties regarding identification. 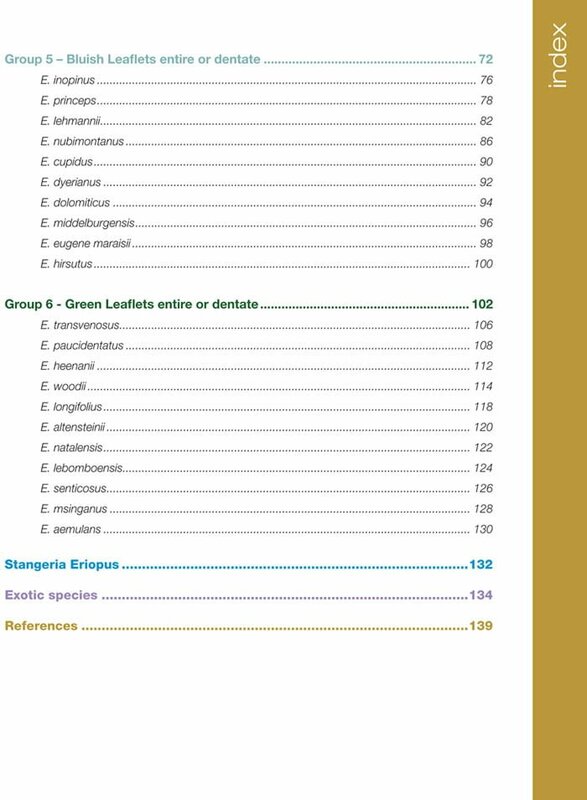 I trust that you will find this book as useful as I have in identifying indigenous cycads correctly.